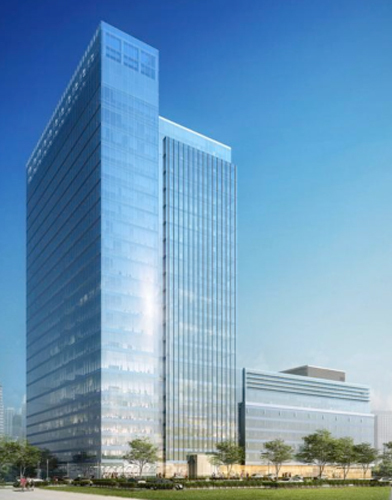 The 962,650 gsf site of Exelon Corporation’s new headquarters is comprised of two buildings separated by an expansion joint. The 605,346 gsf 25-story structure contains two levels amenity, mechanical and retail space; five levels residential; and eighteen levels of office space. The adjacent 357,304 gsf 10-story structure includes one level garage; one level amenity, mechanical and retail space; five levels residential and garage; and two levels of trading floor. TCE is also providing waterproofing consultation services to review the waterproofing design of the building facade, curtainwall interface, and roof; including all horizontal, vertical and other waterproofing elements as required. These services include design review and consultation regarding the design development drawings, permit set drawings, IFC set drawings, and review of the various building envelope shop drawings. Services also include meetings with the architect and submittal reviews. During construction TCE provides periodic quality assurance site inspections along with attendance to the relevant preconstruction meetings and mock-up reviews.